The 2018 Hyundai Santa Fe Sport is a lot more than meets the eye. Its design catches your attention and is powerful engine is one of the best-in-its class. The base Sport model comes standard with a variety of nice options, but the ability to upgrade to even more high-end features is always there, too. At first glance the 2018 Santa Fe Sport looks more like a sedan, but that’s what makes it so unique. The new Hyundai Santa Fe Sport is full of enough space to fit anything from the kids sports gear to all the latest camping equipment. All-wheel drive equipped models are especially good at navigating around Carson City, Sparks and Reno’s tough terrain. These models offer improved handling in both wet and dry conditions and can help you stay even safer on the road. To learn more about the 2018 Hyundai Santa Fe Sport and its top-rated features, visit Lithia Hyundai of Reno today. The 2018 Santa Fe Sport near Sparks and Carson City is available for lease or purchase at Lithia Hyundai in Reno. There are 3 affordable options to choose from. Stop by and see us to test drive the new Santa Fe Sport now! One of the new Hyundai Santa Fe Sport’s most beloved standard features is its 2-liter turbocharged engine. With 240 horsepower and 260 pound-feet of torque, the 2018 Santa Fe Sport delivers the kind of power that’s unheard of in the world of compact SUVs. One of our other favorite features is that the new Santa Fe Sport’s fuel economy is nearly identical to the base 2.4-liter engine. The new Santa Fe Sport also boasts an EPA-estimated 21 mpg in the city and EPA-estimated 27 mpg on the highway. All 3 trim options the Sport, Sport 2.0T and Sport 2.0T Ultimate come with available all-wheel drive. This feature can be very useful, if not only for the simple peace of mind it offers. All-wheel drive gives you extra traction and it also offers a bigger resale value as well. The new Hyundai Santa Fe Sport also comes equipped with a safety package that offers nothing, but top security and peace of mind. The following features are available in the Sport, but come standard in the Sport 2.0T and Sport 2.0T Ultimate: Blind Spot Detection (BSD), Rear Cross-traffic Alert (RCTA) and Lane Change Assist. Rear parking sensors and a multi-view Camera System are both optional in the Sport. They are not available in the 2.0T Sport, but come standard in the 2.0T Sport Ultimate. Smart Cruise Control, Lane Departure Warning, Automatic Emergency Braking with Pedestrian Detection, High Beam Assist and a Dynamic Bending Light are also all available in the Sport 2.0T Ultimate. Besides having a dynamic mix of standard and available safety features, the 2018 Santa Fe Sport also has a ton of standard and available tech features. One of our favorites is the Hands-Free Smart Liftgate with Auto Open. All Reno, Sparks and Carson City drivers have to do is press a button on their key FOB or wave their foot below the bumper. It makes loading and unloading your new Santa Fe Sport a breeze. The 2018 Hyundai Santa Fe Sport in Reno is Carson City and Sparks drivers best choice if they’re looking for a vehicle that stands out on Nevada roads. It doesn’t look like every other SUV, it has enough space for nearly anything and it’ll keep you and your loved ones safe. 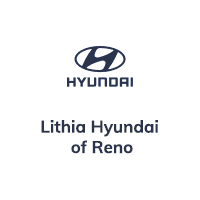 Visit Lithia Hyundai of Reno today to test drive the new Hyundai Santa Fe Sport today!